Pac-Man is already a well-known, established franchise, and the mechanics involved in the game are common knowledge to most gamers. 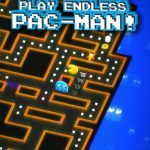 In particular, if you grew up in the ‘80s, you’re sure to have played a Pac-Man game or two, and probably gotten hooked on it. 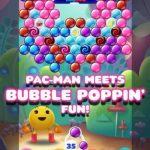 Now, Bandai Namco’s Pac-Man Bounce (Android, iOS) adds a different flavor to the iconic franchise. 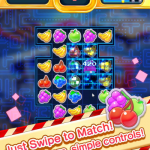 With colorful backgrounds and a more casual edge to the already-casual game, Pac-Man Bounce is more of a puzzler than anything else, with over a hundred unique levels, ten different worlds made out of snacks, and some familiar Pac-Man elements, including the titular character and his Ghost enemies, Blinky, Inky, Pinky, and Clyde. This is a fairly new game and it is different from the usual Pac-Man title, just to stress that point once again. 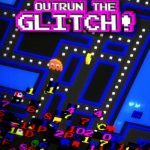 That’s why you may want to read these Pac-Man Bounce tips and tricks before starting your first game, or if you started playing but have somehow gotten stuck in a level. The goal of each level is always to get the key, so what you can do here is to go backwards and recreate the route beginning from the key, moving one step at a time. This is usually an easier way to complete levels, as you may stumble upon solutions you never thought existed. This becomes particularly important in the later levels, so while things are easy, you’ll want to brush up on your timing. What does this mean? Let’s put it this way – even if you’re able to get a Power Pellet so you can eat the Ghosts, and even if it doesn’t seem too hard to go between them and avoid getting hit, if you start things out a second off (too soon or too late), you’ll end up dying. The Ghosts can also be quite unpredictable, so keep that in mind when practicing your timing. The reason why the game is called Pac-Man Bounce is this – you can bounce off walls to go an opposite direction. If you want less arrows to work with and a better chance of getting three stars, take advantage of Pac-Man’s ability to bounce. Bandai Namco allows players to watch video advertisements in the game, and it’s not just simply to give you free energy. These ads are actually tutorials that give you hints on how to proceed in a certain level. However, they are severely limited, so you may want to save the video-watching for times when you are really stuck at a level and can’t move forward. The benefits of connecting one’s game to Facebook are usually related to the social element, but there’s more than just that. If you connect Pac-Man Bounce to Facebook, you would be able to save your progress. That means if you should delete the game for one reason or another, or if there’s a server reset, you don’t have to start from square one. No need to worry about connecting your game – it won’t post unwanted messages to your wall unless you specify that you want your gaming activity public.